BÉATRICE BERNE, clarinet, has received many prizes during her musical studies, and was ranked among the elite of clarinet players in many international competitions. 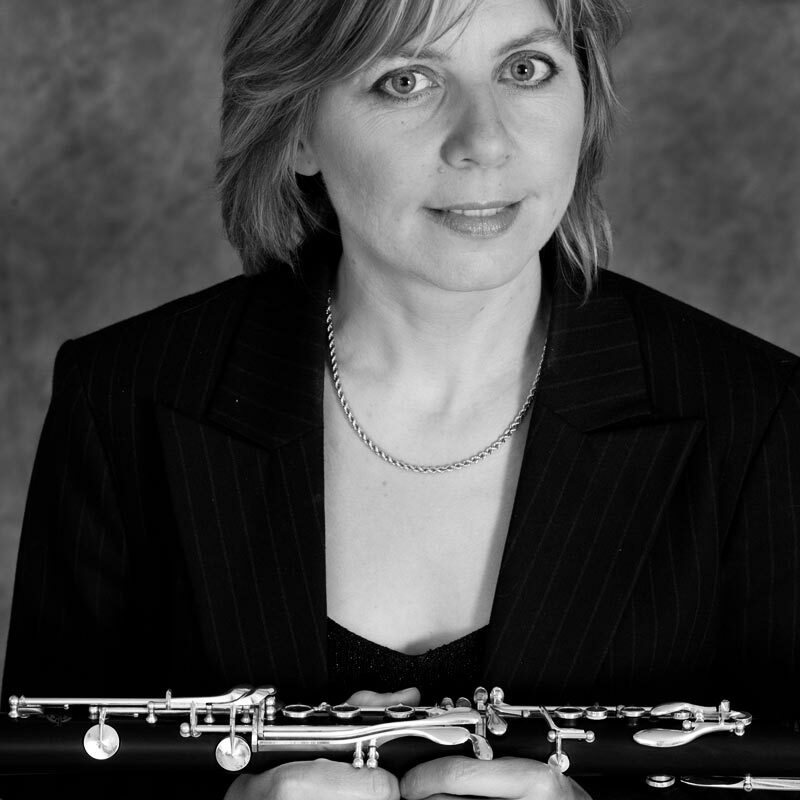 As soloist and performer of chamber music, she has performed with numerous orchestras (Opéra de Lyon, Stuttgart chamber orchestra, Orchestre d’Auvergne, etc. ), ensembles (Quatuor Danel, Quatuor d’Auvergne, etc.) and musicians (Jean-Michel Bertelli, Serge Collot, Julie Guigue, Wilhelm Latchoumia, Laurent Martin, Angélique Pourreyron, etc.). Passionate about contemporary music, she has created varied works (Ivan Jevtic, Peter Eötvos, Joseph Reveyron, Daniel Meier, Gilles Raynal, Jean- Marc Jouve, Pascal de Montaigne, etc.) and produced concert (Lumières d’Orient by Martine Chifflot- Comazzi with the Compagnie Arcthéâtre, Dance in Progress with Danse Actuelle, etc.) and performancesin several festivals: Loire-Forez, Musiques Démesurées, Rencontres Contemporaines, Festivalde Bourgogne du Sud, etc.). She is often invited abroad and has performed several tours in Egypt, Hungary, Israel, Italy, Romania, Turkey, etc. Her discography is composed of around 20 CDs to date, recorded for various labels. Béatrice Berne plays Selmer Paris instruments and uses D’Addario reeds.